Last night (Monday 26th May) we held our Photographer of the Year competition 2014 at The Arches Bar in Mallow. There were over 380 images entered across all 4 categories: Novice, Intermediate, Advanced and B&W print which was a very impressive number of entries for our first end of season competition. Our three guest judges from Limerick Camera Club: John Hickey, Sean Reidy (Chairman) and Siobhan Hayes did a fantastic job of examining and scoring so many images, and also spent some time giving their advice on various images as well as socialising afterwards with all the other photographers on the night. We would like to thank then all very much for time and effort on the night. It meant a lot to us all, for them to travel to Mallow and spend so much of their own time in helping us with the competition. We would also like to thank Kieran Horgan for sponsoring the perpetual cup and all the management & staff at The Arches Bar for their fantastic support throughout the season. Now for the results: Novice Photographer of the year was won by Sheila O Connor, with Finbarr Murphy taking second place, and there was a tie for third between Con Sheehan & Joe whyte. Intermediate Photographer of the Year was won by Łukasz Sadlak. 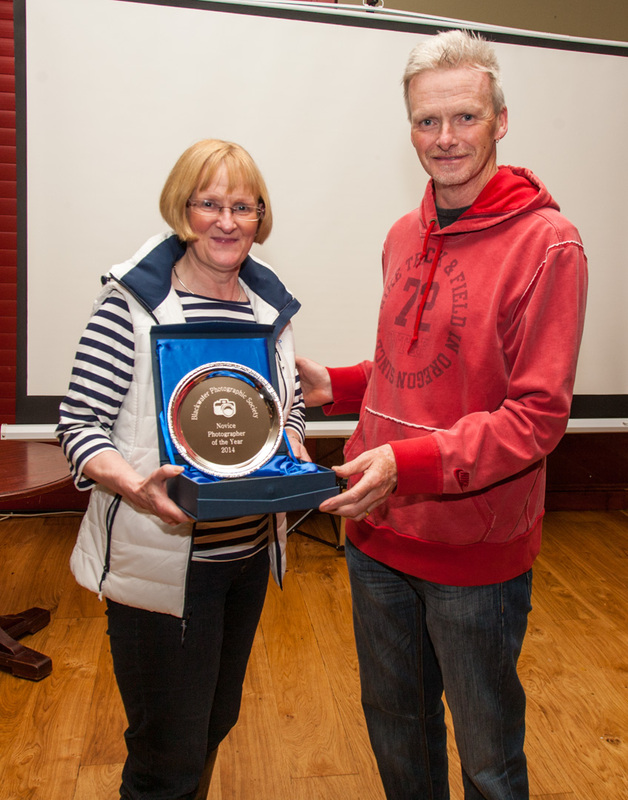 Yvonne Esaw took second place and Kieran O Mahony was third. In the advanced category for Photographer of the Year Rodney O Callaghan (chairman) took first place, John Flynn was second and David Lavery took third place. Rodney was also awarded overall Blackwater Photographic Society photographer of the year with highest overall score (over 5 highest scoring images) on the night. Rodney also won B&W print photographer of the Year, Pakie O Donoghue was second is this category and there was a tie for third place between David O’Donoghue and Geraldine Dennehy. The last prize on the night was Best image and this went to David Lavery with an incredible score of 29 out of a possible 30. Thanks to Sean Murphy, Dave accepted his award and gave his acceptance speech via Mobile phone which added to the excitement of the night. A very special thank you to local photo-journalist Stephen Murphy for awarding the prizes on the night. Stephen was very supportive of the club when we were first launched back in September and it was very fitting that he was present to award the prizes and had the final word on the night in wishing us well in the seasons to come. This was our final meeting of the 2013-2014 season and we would like to thank everyone involved in making the night such a success, especially all those involved in providing food on the night. It was very much appreciated and also the competition committee along with all the other committee members for preparing the competition and to everyone in the entire Blackwater Photographic Society for such a successful season.